Another step that will bring us closer to the reopening of Kiato-Aegio railway line that has been discontinued for 12 years, will be taken next week, ypodomes.com reports. According to well-informed sources of the site, a crucial test route will be carried out to show whether the new 71-km double-track line is ready and safe to operate. Safety certificates for the six tunnels of the department are also pending. For the test, the fire brigade, the police and other security forces will also participate, as it has happened in the recent safety trial that was organized in Kallidromos and Othrys tunnels. What blocks the delivery of these sections is the operation of the signaling system, which, as the same sources note, was destroyed during the floods that affected the area last November, resulting to their re-installation. For that reason a supplementary contract was approved a few days ago to complete the works that have commenced back in 2015. According to estimates, it will take about 3-4 months for the completion all the required projects. OSE will then receive the project from ERGOSE, enabling TRAINOSE to launch its new services up to Aegio, which will become the new terminal of the railway line. Without any additional delays, this could probably happen in the summer. 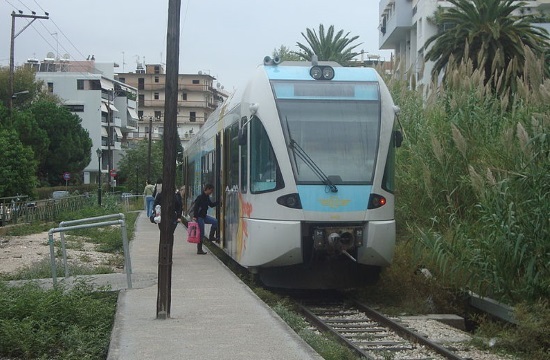 In the new section, three new railway stations will operate: Ksylokastro, Akrata, Aegio and 6 stops: Diminio, Lykoporia, Lygia, Platanos, Diakopto and Eliki. The speed that can be developed will be 200 km/h for the Kiato-Lykoporia section and 150 km/h for Lykoporia-Aegio section. Initially, the operation of the new double-track line will be without electrification as the relevant tender is still in progress while it will require 24 months from the signing of the contract to its completion.